Stephen Harper assumes he is the next best thing to sliced bread. I’m shaking my head knowing his supporters kiss the ground he walks on. 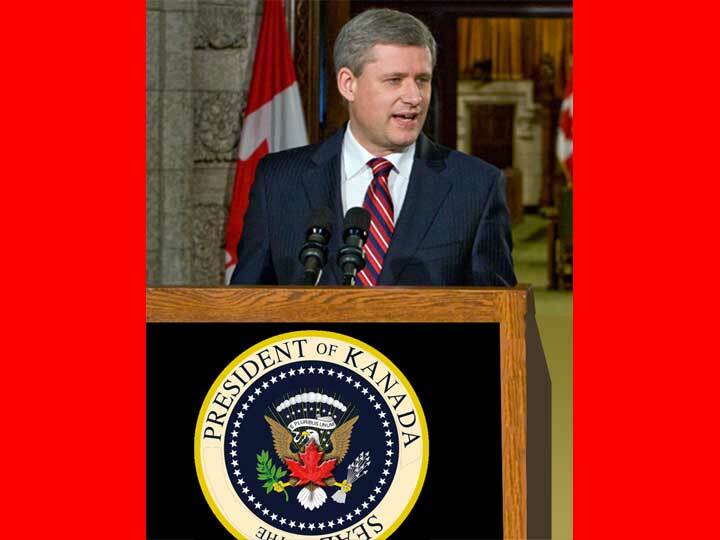 Tell me Harper would not like to be the President of Kanada. Yes, he loves the American method of electing a President and would love to rule Kanada the same way! Well, it is not possible given our system and to suggest Harper is a saint belies the fact he/his party were trying to “undermine” the Liberals a few years back using the same idea he now vehemently attacks..
Oh… he is no saint! He wants total control Presidential power to stop whatever he wants.